A great addition to your bedside when table space is at a premium. This versatile swing arm wall lamp features a bear silhouette design. 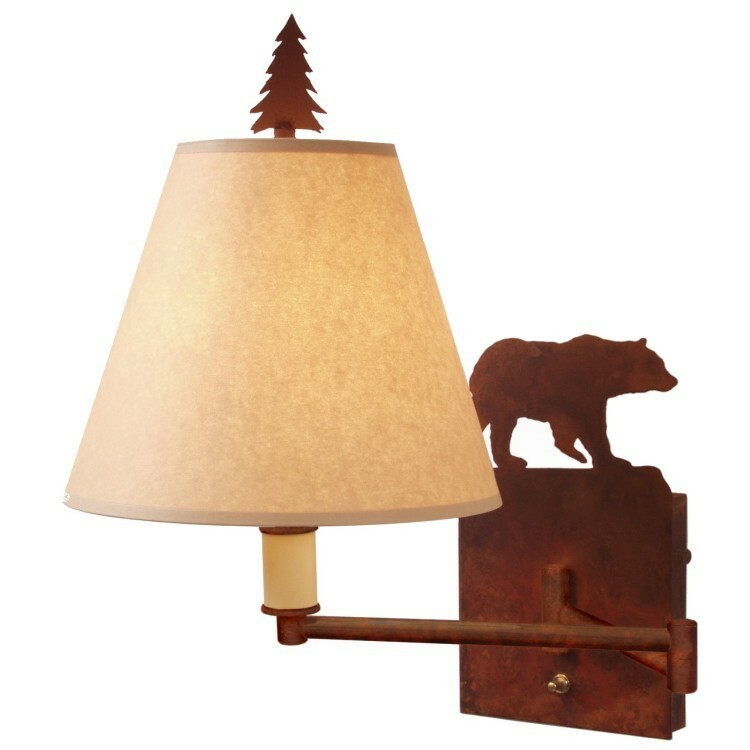 The Bear Swing Arm Wall Lamp is available in your choice of finish and includes a pine tree finial and kraft paper shade.